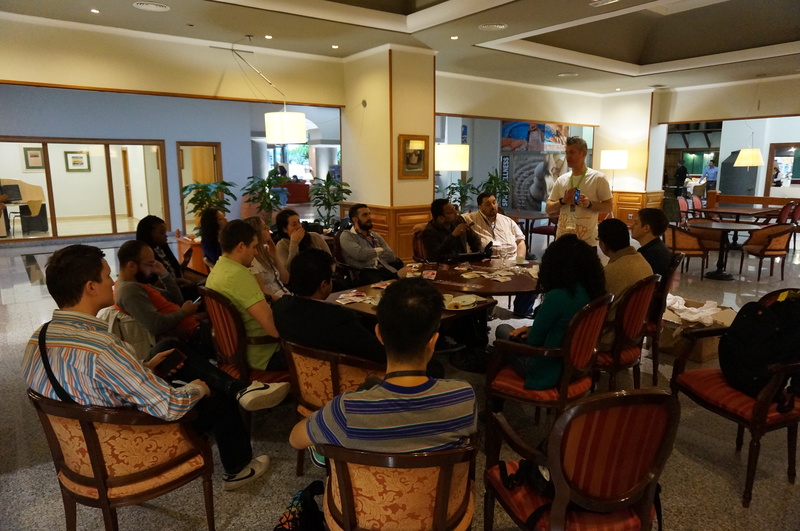 The day started with breakfast and then a 30 minute talk by Dean Patrick, Nokia Entertainment Evangelist, on Nokia Mix Radio. 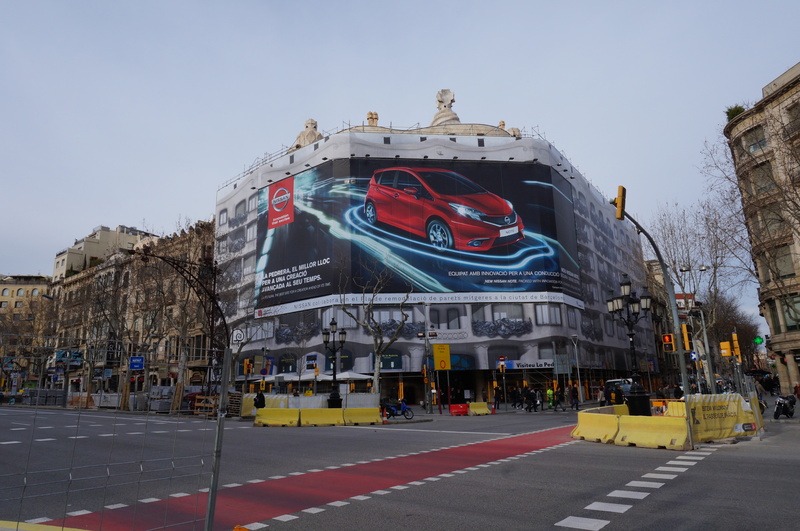 We proceed on to MWC later for two blogger session with Dirk Didascalou, SVP Mobile Phones R&D at Nokia and Stefan Pannenbecker, VP Industrial Design at Nokia. Dirk is an engineer himself and is the guy behind Nokia X platform while Stefan is the guy behind the design of Nokia X! 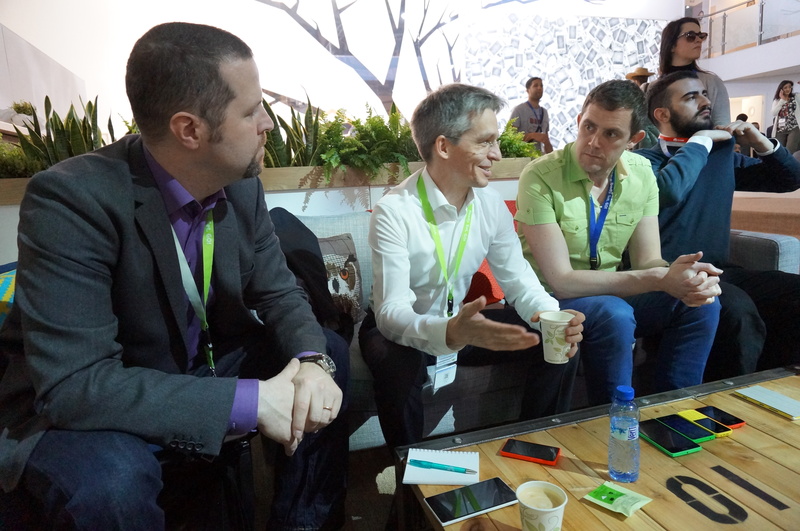 I love talking to Dirk about the technical details of Nokia X, wished we have more time with him. After the two blogger session, we are pretty much done with MWC. 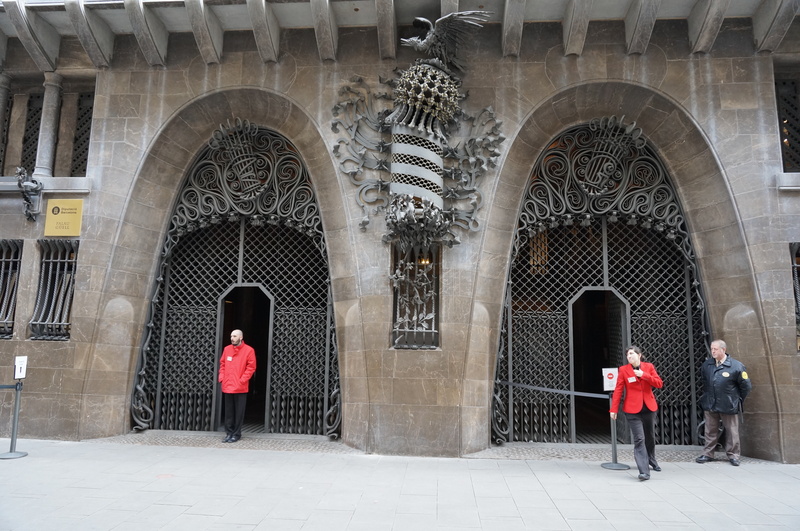 Next up was Gaudi tour of the city! 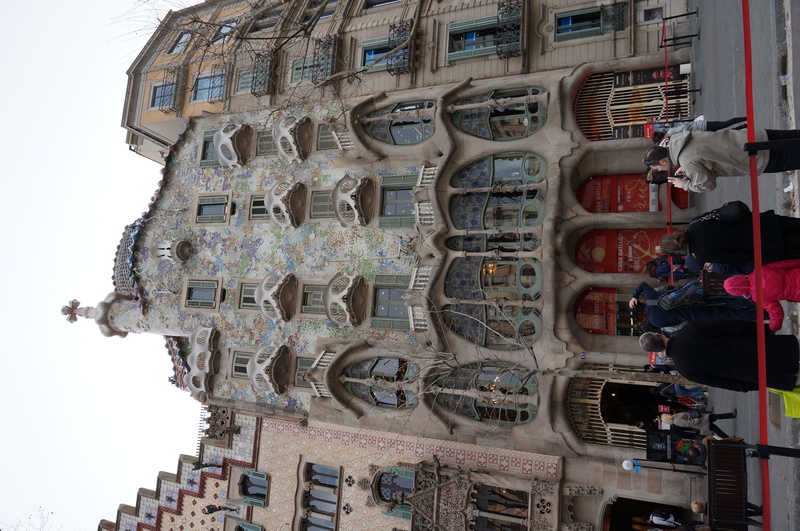 Gaudi was a Spanish Catalan architect from Reus, who was the figurehead of Catalan Modernism. Gaudí’s works reflect his highly individual and distinctive style and are largely concentrated in Barcelona, notably his magnum opus, the Sagrada Família. 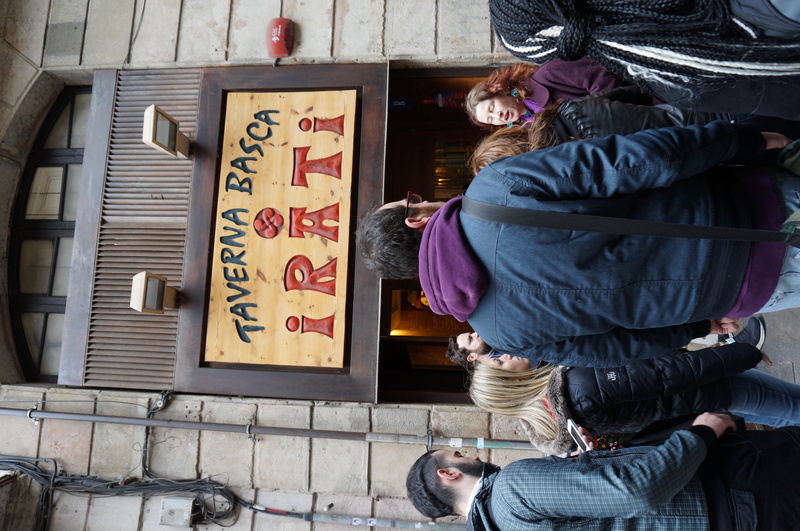 On the way though the walking tour, we stopped by Irati Taverna Basca for pintxos. 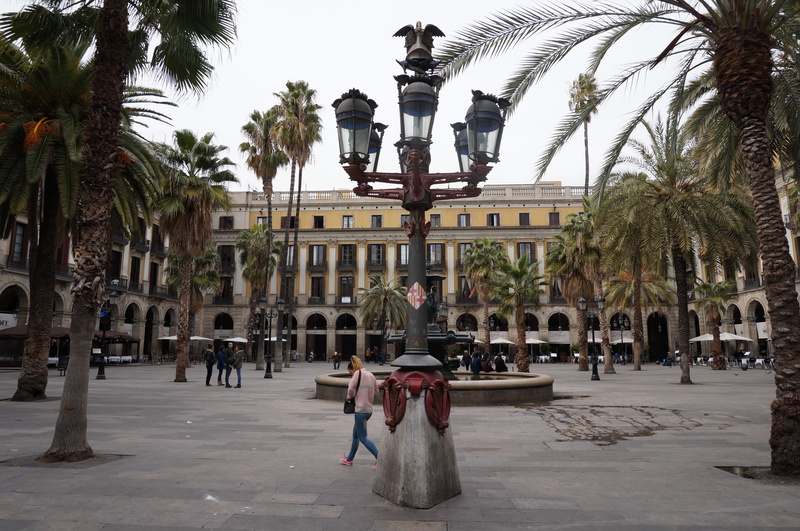 We visited places like Plaça Reial, Palau Güell, Casa Batlló, Casa Milà and Sagrada Família. 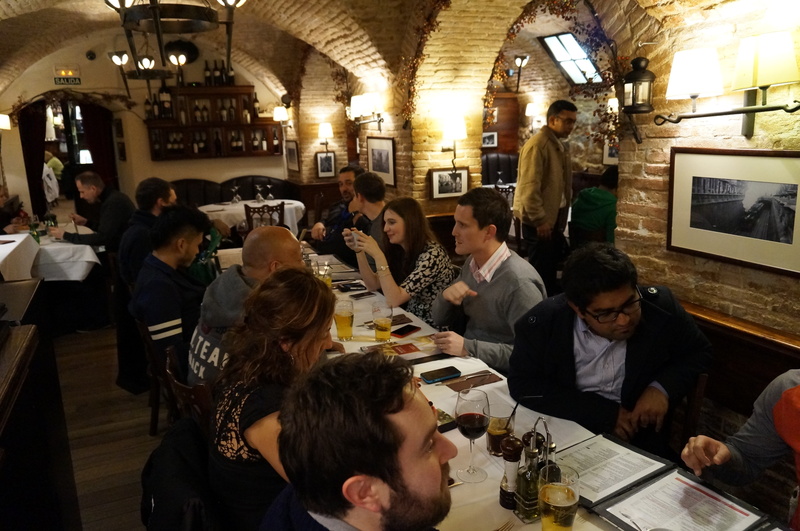 Dinner was Italian food at Brasería Rossini which was located at Plaça Reial! 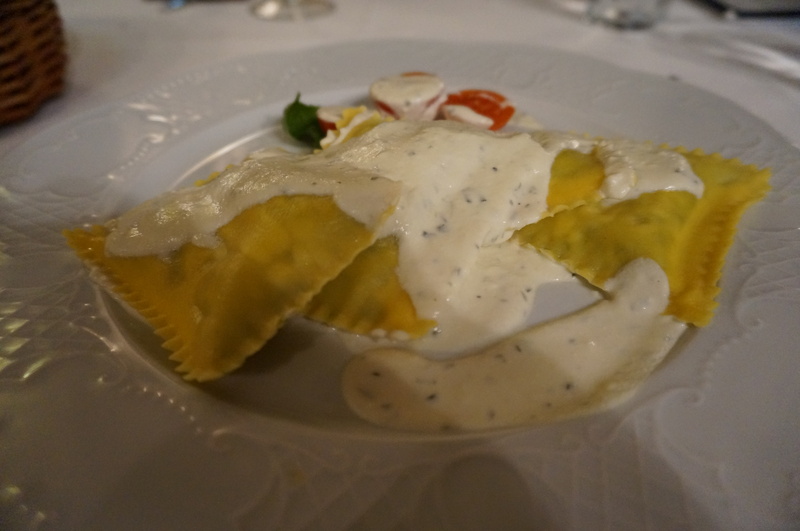 My dinner, stuffed ravioloni with ricotta and spinach, served with ricotta sauce. 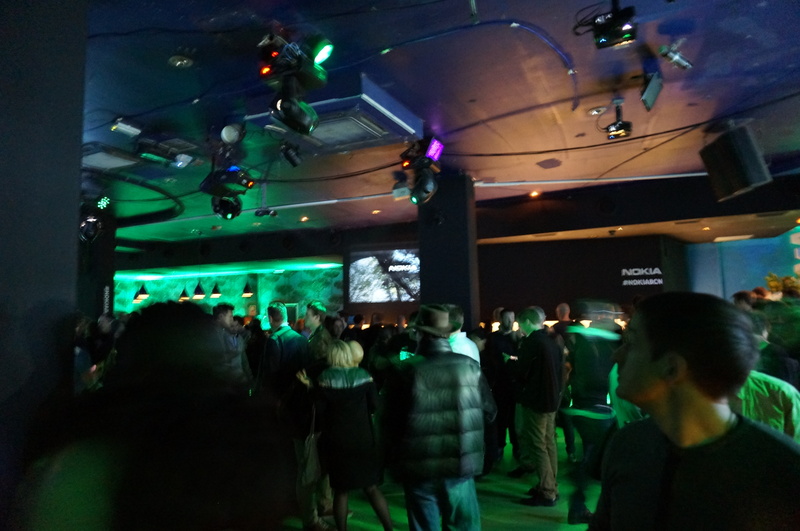 After dinner, we proceeded on for the developer’s party at Sotavento Beach Club hosted by Nokia! 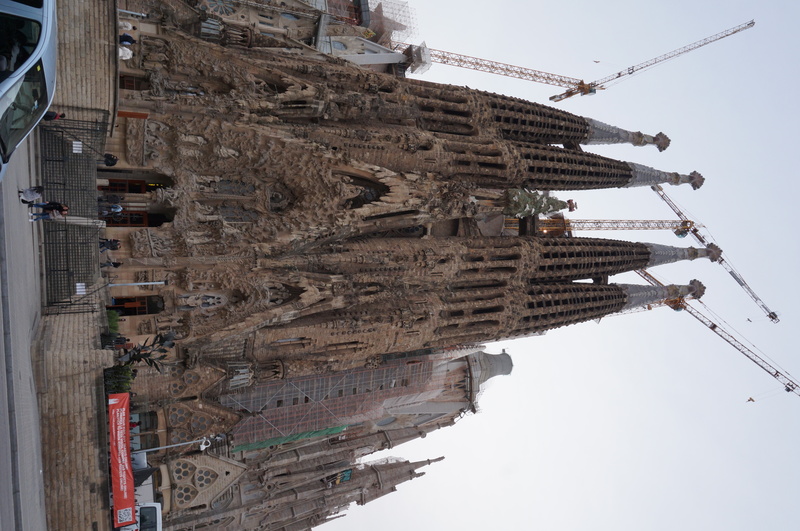 Since it is our last day in Barcelona, Jason and I checked out early and went to take a walk! 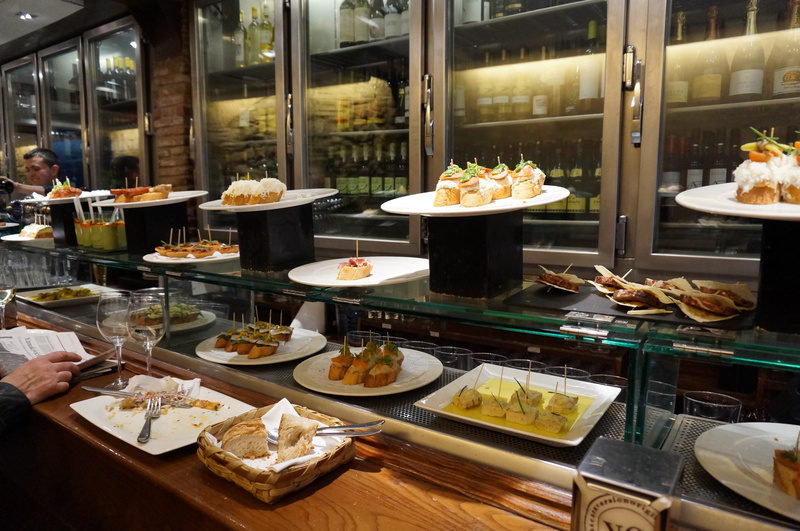 We checked out Vinçon which is located in Casa Milà. 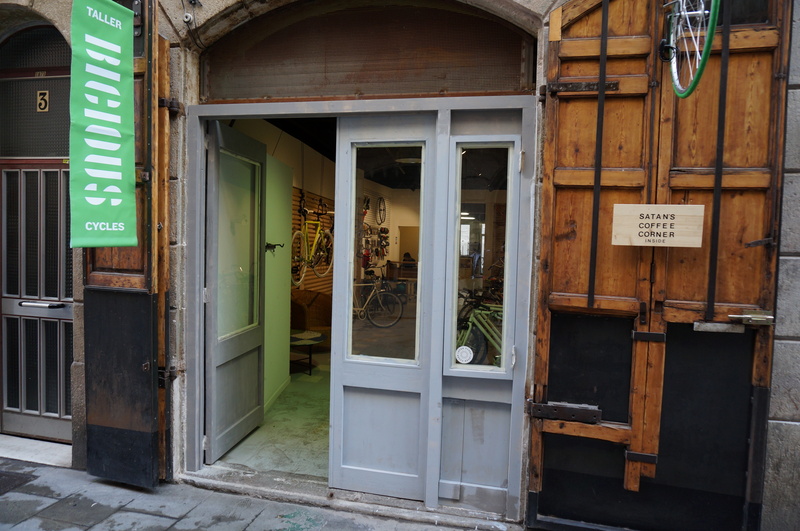 Vinçon is a lifestyle shop which sells lots of interesting stuff! Definitely worth a visit if you are in Barcelona! 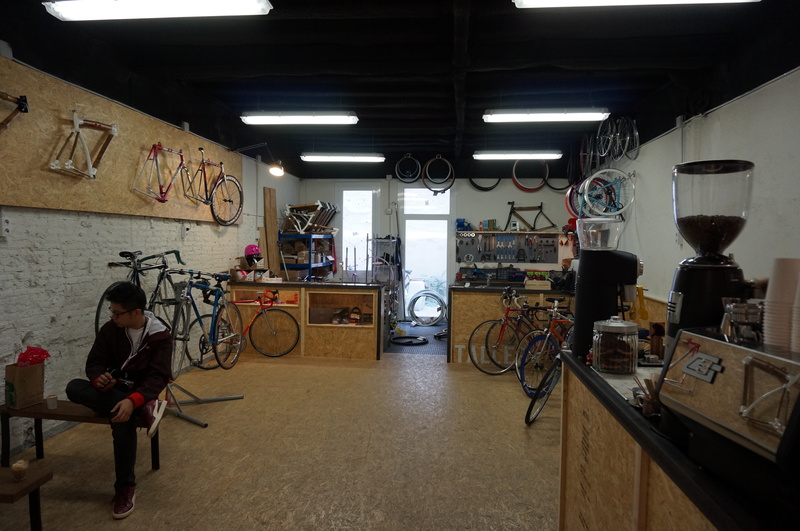 We also went to the recommended coffee place called, Satan’s Coffee Corner, which is located inside a bike shop! 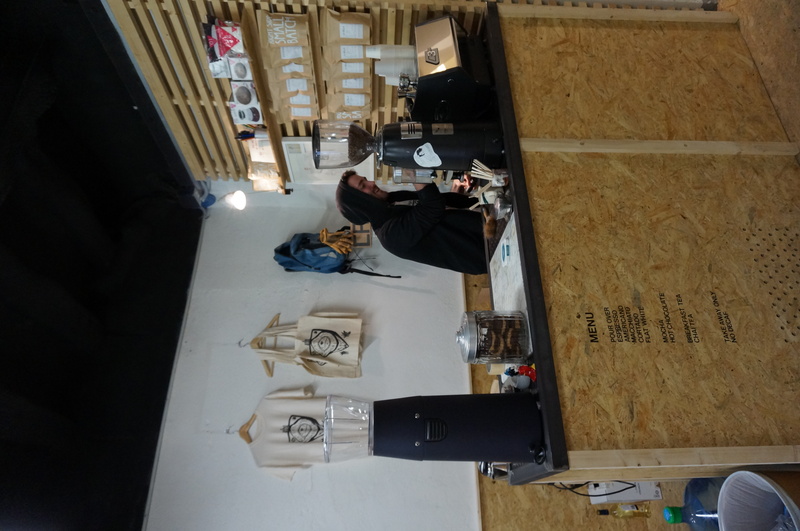 If you love coffee, make sure you checked out the place! 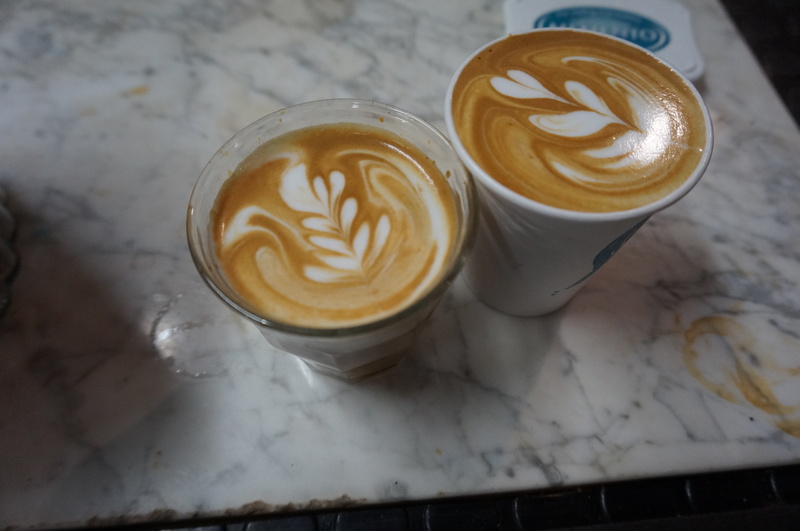 I tried the Cortado (an espresso cut with a small amount of warm milk). It only cost €1.60 (S$2.80) and it tastes good! My flight back to Singapore was at 19:50 (GMT +1) at Barcelona Airport Terminal 1 by Swiss International Airlines (LX1957). I reached the airport four hours before because I wanted to do some shopping there! The flight time to Zurich Airport is about 1 hour and 45 minutes. I reached Zurich Airport at 21:35 (GMT +1) and my flight back to Singapore on Swiss International Airlines (LX178) was 22:45 (GMT +1). The flight time back to Singapore was slightly shorter at 12 hours 15 minutes. Reached Singapore at 18:00 (GMT +8) on Thursday, 27th February 2014! 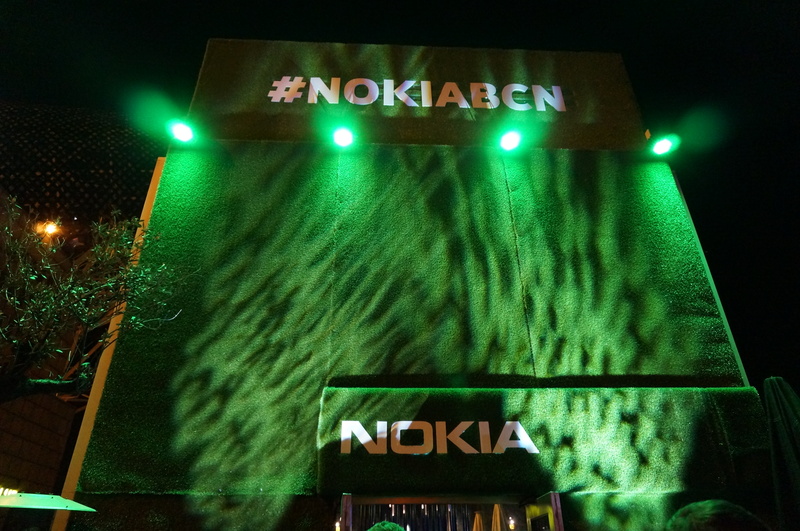 Once again, I would like to thank Nokia Connects (@Nokia_Connects) for the invite to Mobile World Congress (MWC) 2014! 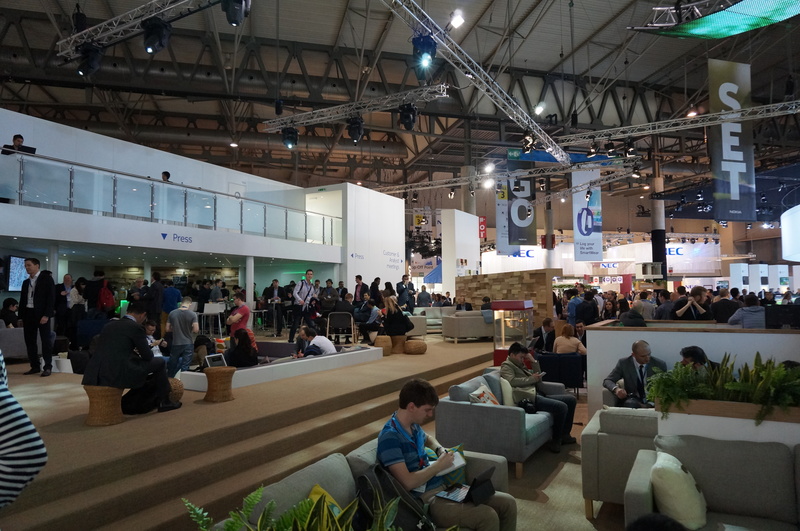 Do checkout Nokia Connect’s Mobile World Congress 2014 wrap up post as well! This page is generated on 22nd April 2019, 10:58:24 (UTC) in 0.245s with 19 queries using 2.0 MiB of memory.